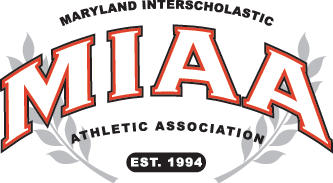 Former Boys’ Latin and University of Maryland lacrosse standout Brian Farrell has been selected to lead the Laker lacrosse program following the retirement of coaching legend Bobby Shriver. Shriver, who announced earlier this year that the 2015 spring season would be the final one of what will be a 36 year year career as the head coach at BL, led the Lakers to an undefeated season in 2014, winning the MIAA A Conference championship and finishing the year as the top-ranked team in the nation. Under Shriver, the Lakers have won four MIAA titles and prior to that two MSA A championships, as well as 490 games. Farrell was selected from an applicant pool that included “dozens of exemplary candidates including high school, collegiate and professional coaches,” according to a release published by the school, and emerged as the unanimous choice to lead the BL lacrosse program upon Shriver’s retirement. Shriver, who coached Farrell at BL, is excited with the choice. While at BL, Farrell was a game-changing defenseman with intimidating size and tremendous speed, with the ability to make game-changing plays on both ends of the field. He was a unanimous All-American selection. He also was a standout in football and basketball, serving as a captain in all three sports at BL. At Maryland, he was a three-time lacrosse All-American and a two-time Tewaaraton Trophy nominee. Upon his graduation in 2011, he joined the Boston Cannons of Major League Lacrosse and played three standout season there before being traded to the Ohio Machine prior to the 2014 season. Farrell’s coaching career began in 2012 as an assistant at Bridgeton Academy (CT) and then spent two years on the men’s lacrosse staff at the University of Maryland. Currently he is the Associate Director of Admissions at Salisbury School (CT) where is the defensive coordinator with the boys lacrosse team as well as an assistant with the football team.